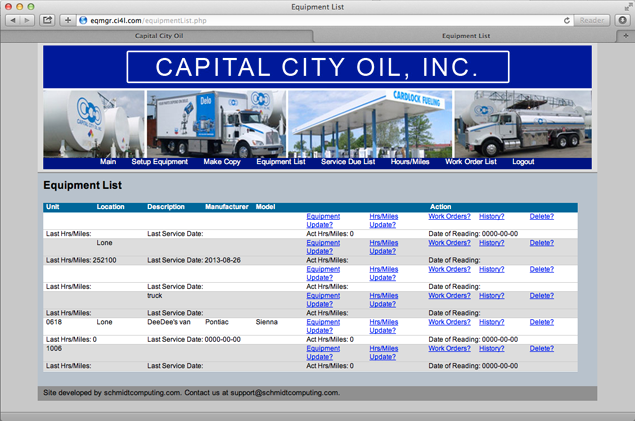 Equipment Manager | Capital City Oil, Inc.
We have the answer for conveniently and easily tracking maintenance on your equipment. 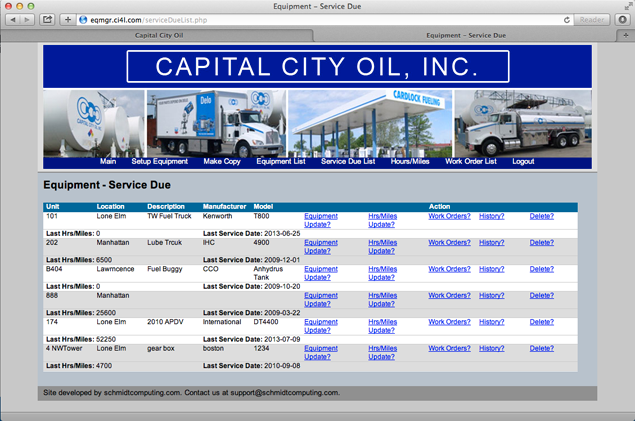 Our web-based Equipment Manager gives you the ability to organize all of your equipment maintenance schedules. 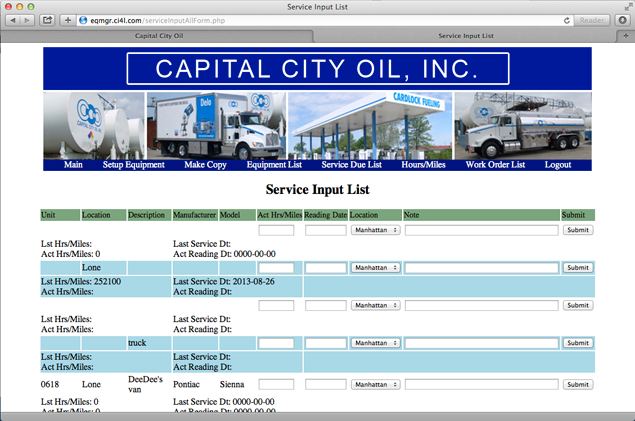 And as you input miles or hours into the system, it will create a work order for the needed preventive maintenance for each component on your equipment. 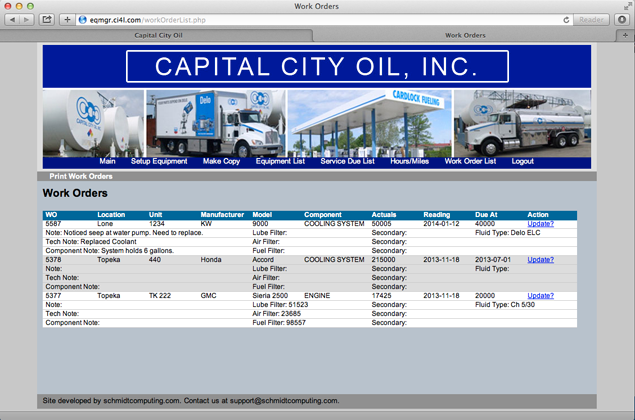 You can log into our demo site and look at how it works. Go ahead and set up equipment with different PM’s on the engine, trany, hydraulic system and then input some hours on the unit and see how it works. To log on, click here and use the user and password below. Interested in scheduling a walk-through of our equipment manager?